Dan TDM on Tour - Nationwide! See Dan TDM in Person! Over the weekend, my family headed to the Beacon Theatre to see Dan TDM LIVE. WHAT?! Full confession – I had no idea who he was before Saturday, but my children nearly levitated when I told them about our plans. I mean… we were going to see DAN TDM in PERSON OH-MY-GAWD. They literally lost it. And you know who else lost it? 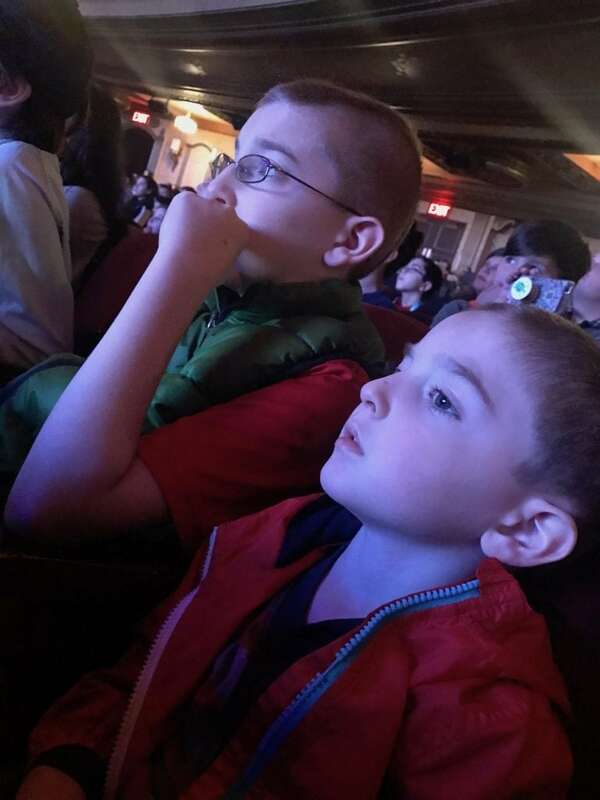 Every other child inside the Beacon Theatre. I mean, they were SCREAMING like he was Elvis. Well, this is it, folks. This is what our children want to do and see. This is where they want to be. In the same room and able to see Dan TDM in person! And you have a chance to get there! Click here for tickets! I took a million videos. I’m not going to lie. But then I heard that he didn’t want any photos or videos shared – so I won’t do that. I don’t want to ruin the SURPRISE of the show. What’s the Dan TDM On Tour all about? For the first time ever, DanTDM, one of the world’s most famous YouTubers is on tour. 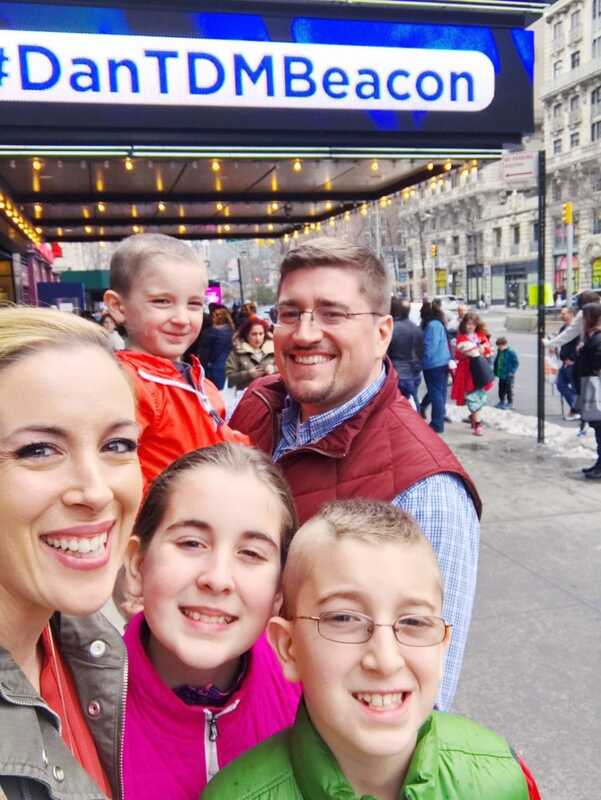 The show features fun for all the family however old and whether or not you’re a fan of Dan on YouTube. 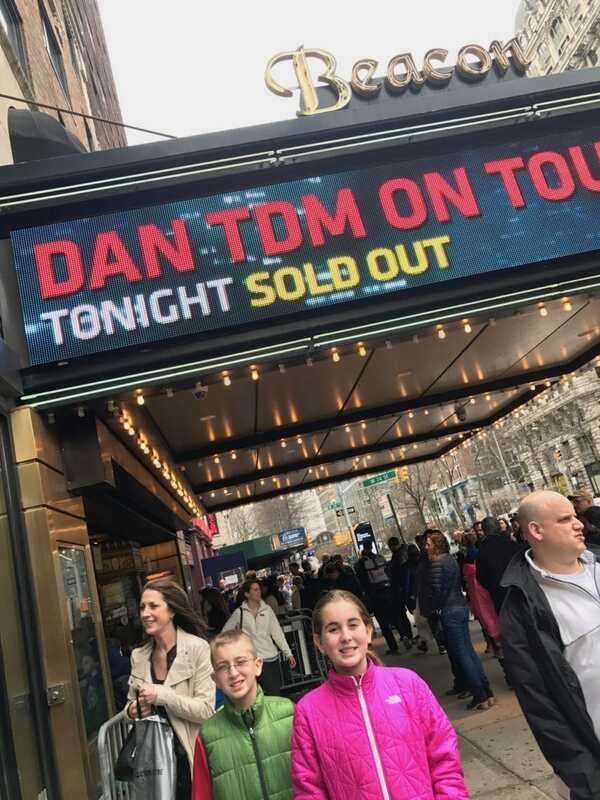 The tour has stopped off at 16 venues across the UK and is now off around the world, letting visitors come and take part in a Dan TDM adventure … in the real world! This is what Liam looked like the entire time. RAISING HIS HAND TO TRY TO GET ON STAGE. I was cracking up. If you can get seats near the front of the stage, I recommend it. They pull a lot of people up there for some fun activities. What? 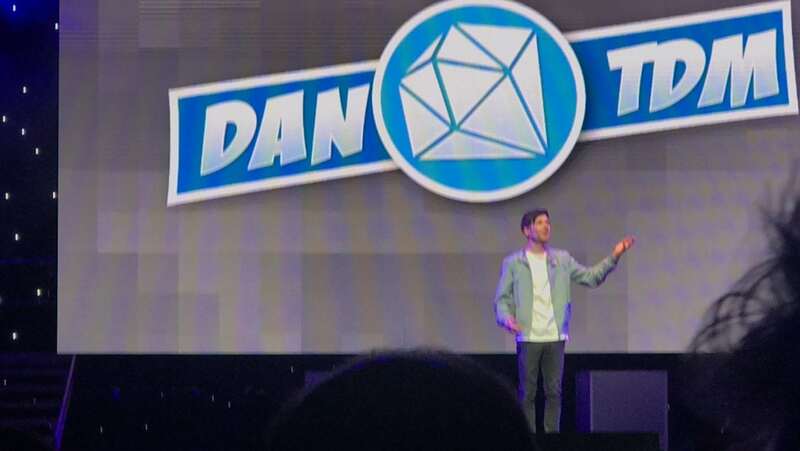 An even more close up chance to see Dan TDM in person!? In the end, we had a great time! 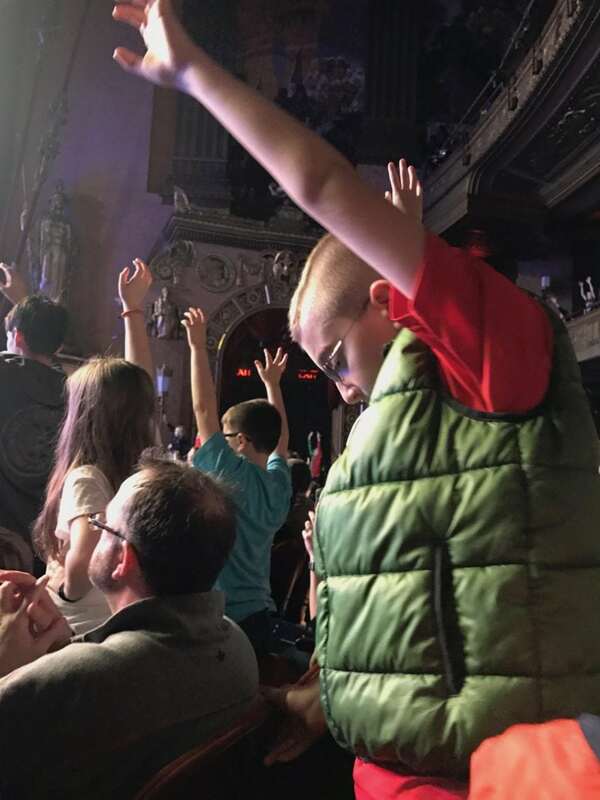 If you have little Minecrafters at home, check out this link for all future show dates for the Dan TDM tour! !